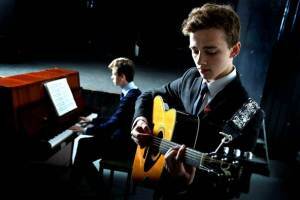 Music at Fyling Hall is a thriving, popular department where pupils are encouraged to take part in all music events, appreciate listening to music, and compose their own pieces reflecting their interests and lifestyle. A number of students who study music at Fyling Hall go on to study music at a higher level, and have even formed their own bands and perform in a number of venues locally. Across the school, pupils play a vast array of instruments and are able to share their work at the many concerts Fyling Hall hosts each term. Our young musicians are respected across the school and act as ambassadors for the school at local and public events.